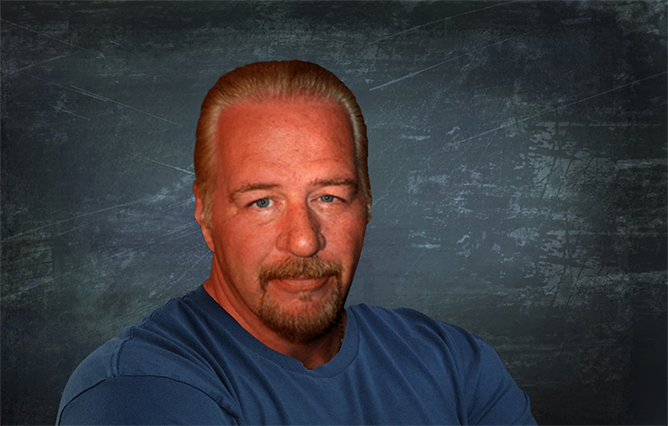 What sells online, what doesn’t, and why - Chris Malta. Something you need to do before you do any other Market Research when choosing what to sell online, is to assess whether or not that product is likely to actually sell online. The simple fact is that some products just don’t sell well online, for a variety of reasons. “Qualifying” a product is what we do to figure out whether it will sell well online or not, BEFORE we spend time researching the product in depth. To Qualify a product, we look at what we call potential Points of Failure. Points of Failure are reasons why a product simply doesn’t lend itself well to selling online. So let's go through these and explain what they basically mean. Market Segment is the segment of the consumer market that buys the product. - Consumer Products: these are products that are designed for use by the average consumer. - Prosumer Products: these are products that are designed for use by semi-professional users. - Commercial Products: these are products that are designed for commercial/professional use. Consumer products reach the widest possible consumer base. The fact that a product is a general Consumer product has no negative impact on its likely sales online. Toasters, for example. The word Prosumer has other definitions as well, but in this case it refers to products that reach a narrower consumer base and require specialized knowledge to use, which makes them a less likely candidate for the widest possible consumer audience and creates a higher level of difficulty in sales. A Stethoscope, for example. Commercial is pretty self explanatory. A Pizza Oven for a professional restaurant kitchen would be an example of this, and it's very specialized, which means a much smaller group of online buyers. Every time you move a step up this three rung ladder, from Consumer to Prosumer to Commercial, you move into smaller and smaller consumer markets, and more specialized knowledge needed in order to sell the products. It's always best to stick to the Consumer level. Size is the next potential Point of Failure. This very simply refers to a products's actual physical weight and dimensions. For example, products that weigh more than 150 pounds are over the standard UPS, FedEx and USPS shipping limits and have to be sent using special delivery methods. Products that might not be over the weight limit but are over the DIMENSIONAL limits also have to be shipped by special delivery methods, like a surfboard, or example. Those special delivery methods, like Motor Freight, LTL (less than truckload, etc.) refer to big delivery trucks like box trucks or even tractor trailers. These methods are much more expensive, and their pricing fluctuates weekly, since it's based largely on fuel costs. That makes it extremely difficult to provide your customers with standard shipping rates, and that's definitely a problem. It creates far more work than you should have to do in order to ship the products you sell. So always be sure you're selling something that can be delivered by standard UPS, FedEx or USPS. causes problems with customer service and sales. Integration is next, and it refers to whether a product is a complete product in itself, or if it is a COMPONENT that has to be integrated with other components from other sources in order to function. For example, a BBQ Grill is a complete product in itself, and can be sold without worrying about potential Integration. However, outdoor BBQ grill components that are designed to be built into a brick BBQ enclosure are not complete products in and of themselves. Somebody has to build the brick enclosure and Integrate the components into the enclosure in order for the BBQ to be used. The Integration factor limits the number of online buyers, much like Market Segment does. Always be sure you're selling products that do NOT have to be built into other products or structures in order to be used. Visualization is the next potential Point of Failure. There are products that people are willing to buy without seeing and touching them, and there are products that people are not willing to buy without doing those things. For example, it’s very difficult to sell Wedding Rings online. The Bride and Groom want to see the rings, inspect the jewels, try them on, have them sized, etc. If a consumer can easily Visualize the product and doesn’t feel like they need to see and touch it physically before buying, that product doesn’t have a Visualization problem and can be sold online. Otherwise, it does have that problem, and it's NOT a good candidate to sell online. And finally, Urgency. There are products that people are willing to wait for, and there are products that people feel they need RIGHT NOW. There are also situations in which a single product can be both Urgent, and Non-Urgent. That depends on the consumer’s frame of mind at the time of the need. For example, women are by far the largest consumers of portable hair dryers. When does a woman typically buy a new portable hair dryer? When the old one breaks. How many women do we know who are willing to wait around with bed-head for 3 or 4 days for UPS to show up and deliver one? I don't know ANY. Do you? Tools are another example of urgency. Most of the time, people don't buy tools that they think they might need in the future. They buy tools when they're in the middle of a project and don't HAVE the right tool. Again, they're not going to wait around for UPS, they're going to go straight to Home Depot and get the tool. The best potential products to sell online are those that don’t generally associate AT ALL with a sense of Urgency. - They're products bought by average consumers, not specialists or commercial operations. - They're products that fit within the standard shipping weights and dimensions for UPS, FedEx and USPS. - They don't have to be integrated or built into anything else in order to be used. - They're products that people will be willing to buy Visually, without having to touch them or try them. - They don't have any sense of Urgency associated with them. Keep those five things in mind, and your chances of selling a LOT of your products will be a whole lot better. Want to learn a whole lot more about this business? 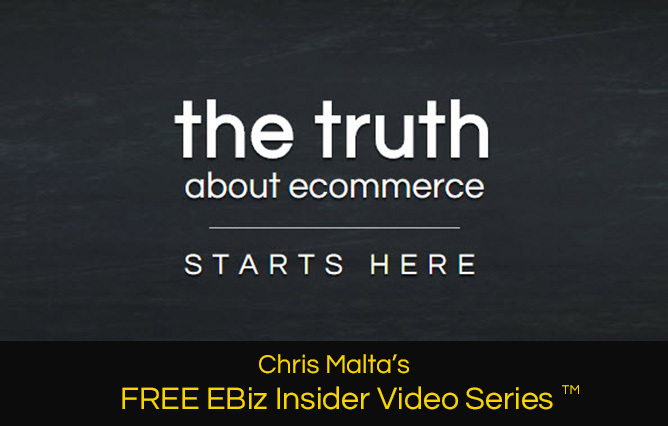 Check out my FREE EBiz Insider Video Series!